I never thought that I would use dishwashing gloves. However with the drier colder air settling in and the increased need for me to hand wash items at home, my hands were taking a beating! They were cracking and painfully dry due to repeated wetting and drying. Anxious for a solution, I gave household washing gloves a try. Within a couple of days, there was noticeable improvement. And much to my surprise, I was not struggling to get used to them. I instantly found that they were quite comfortable and made the choir of dishes more enjoyable. 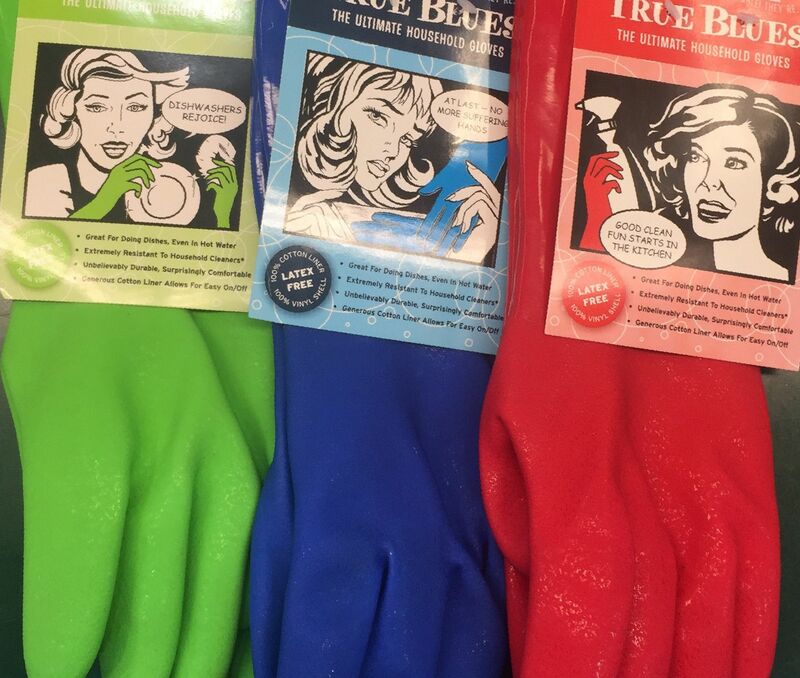 Our high quality, cloth-lined True Blue gloves are soft and supple. They also provide added grip even when handling wet dishes and glassware. They protect your hands when washing knives and other sharp items. And they provide insulation from hot water, allowing you to wash dishes in hot sanitizing water! 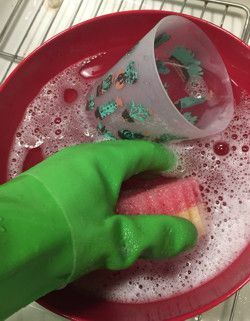 These high quality dishwashing gloves can be found in our housewares department, are made in 4 sizes, and 3 different colors (red, green, and blue).